243,000 disabled people live in Dagestan, about 8.2% of the population. 33,600 of them are children. 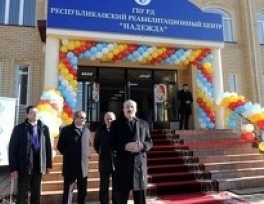 The Nadezhda Rehabilitation Center for disabled children has opened in Makhachkala (Dagestan), its Director Marat Khanbalayev announced, ITAR-TASS reports. The center will be used to organize recreation, health-improvement and social rehabilitation, Dagestani Minister for Labour and Social Development Malik Bagliyev said. The center will work with 210 patients at a time. Over 200 million rubles were granted to the center within the framework of Russia’s South Federal Program. 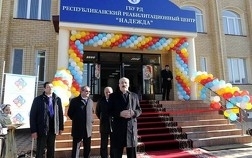 Dagestani Leader Ramazan Abdulatipov noted that the success of the center could give it all-Russian status.